That title! That cover! As a lover of crime and psychological thrillers, could anything possibly scream “READ ME!” any louder? So when I was invited to take part in the blog tour for this book, I jumped at the chance. I love a good locked-room mystery, and the blurb for this book sounded very Christie-esque which gave huge appeal (indeed there is even a nod to the author herself, as one guest finds a Christie novel on her bedside table). The remote and cut off location, the group of strangers, many of whom seem to have something to hide, the undercurrent of mistrust and the body count mounting up… what could be more perfect? If I was to have a slight gripe, it would be that there wasn’t quite enough tension for me. Guests are dropping like flies and there is no way out, yet I never really got a sense of pure fear (which I expect I would have felt had I been there in the hotel). Well written though it was, the middle part of the book didn’t entirely live up to the promise of the first part, I felt. The ending though… now that I enjoyed. I love it when I’m blindsided by a reveal and this one did just that. It actually left me with a big smile of satisfaction on my face. Gripping, page-turning, moreish. This is a pacy thrilled, despite the desolate setting and small cast. A read-in-one-sitting type of book. Enjoy! Why not head over to the other blogs in this tour and see what they have to say about it too. Many years ago I read a book called Room by Emma Donaghue and fell in love with a small boy. A few weeks ago I read Only Child and fell in love with a different little boy. There was a time when I couldn’t read books narrated by children, as I would find myself cringing at anything that didn’t feel authentic. Room changed that, and now I have a new hero that goes by the name of Zach. The book opens with Zach and some of his classmates hiding in a cupboard with their teacher as a gunman runs rampage through their school. Zach continues with his story in the aftermath of the massacre as he, his family and the community try to make some sort of sense of the events of that day. Zach is a wonderful character: perceptive, sensitive and very engaging. Despite narrating the chaos and confusion felt by himself and those around him, it was a pleasure to be in his company as he navigated his own unfamiliar emotions and witnessed the alien ones of those closest to him. Being narrated by a child gives the story the wide-eyed, innocent view of the world that only a child could which adds to the heartbreak in a way that a cynical or jaded adult wouldn’t be able to. This is such an incredibly powerful book and not just because of the subject matter. 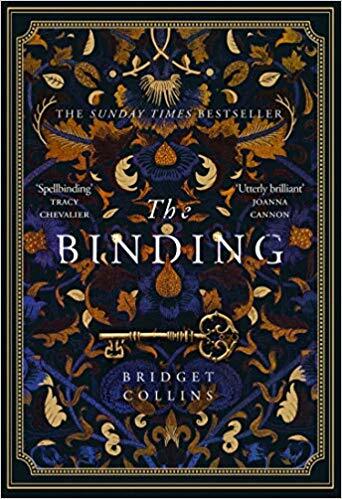 I am stunned that this is the author’s debut novel as it is written with the assuredness and keen eye of someone who has many more books under her belt. Only Child wrecked me. Several times. My heart broke for the characters in this book. And despite the subject matter, nothing felt gratuitous or shoe-horned in for dramatic effect which is why I’m sure it had such the impact that it did. This book is a triumph. It crushes you and lifts you back up, it breaks your heart but leaves you optimistic, it holds a mirror up to society and forces you to look beneath the surface at what’s really going on. It will be a long time before I forget Zach and his family. Zach is a special boy and this is a special book – one which I cannot recommend highly enough. Welcome to Day 4 of the blog tour for debut author Harriet Cummings for her book We All Begin As Strangers. Inspired by real events – a beautiful debut about an English village pushed to the brink, and the secrets its residents are desperate to protect. If you loved THE TROUBLE WITH GOATS AND SHEEP by Joanna Cannon, ELIZABETH IS MISSING by Emma Healey and THE UNLIKELY PILGRIMAGE OF HAROLD FRY by Rachel Joyce, you’ll adore this wonderful debut novel. 1984, and summer is scorching the ordinary English village of Heathcote. What’s more, a mysterious figure is slipping into homes through back doors and open windows. Dubbed ‘The Fox’, he knows everything about everyone – leaving curious objects in their homes, or taking things from them. When beloved Anna goes missing, the whole community believes The Fox is responsible. Inspired by real events, and with a brilliant cast of characters, WE ALL BEGIN AS STRANGERS is a beautiful debut novel you’ll want to recommend to everyone. If you loved THE TROUBLE WITH GOATS AND SHEEP by Joanna Cannon, ELIZABETH IS MISSING by Emma Healey and THE UNLIKELY PILGRIMAGE OF HAROLD FRY by Rachel Joyce, you’ll adore this wonderful British debut novel. My review of this book will be coming shortly. Harriet Cummings is a freelance writer with a background in history of art and gender studies. As a scriptwriter, she has had work performed at Edinburgh Fringe Festival, as well as independent venues around London. While studying at Faber Academy, Harriet threw herself into her first novel and hasn’t looked back since. She lives in Leamington Spa with her husband and springer spaniel. What is your favourite 80’s group? Blondie! ‘Heart of Glass’ is so addictive. What is your favourite 80’s song? It has to be ‘Total Eclipse of the Heart’. Remember the video with her in the white dress with the school boys?! Pretty special stuff. What is your favourite 80’s film? Heathers… I had a poster of Christian Slater on my bedroom wall and argued with my sister over who liked him more. We were very competitive about nonsense things! Favourite 80’s item of clothing? The scrunchie was something to be loved and loathed. I liked art, especially painting. Grange Hill. I never got on board with Hollyoaks – too many beautiful people to be convincing, haha. Wham bar or Haribo Tangfastic? How about a Highland Toffee? Can I have that instead? I used to get one for 10p after swimming. Hmm, I never had an Atari so I guess an iPad. My first computer console was a Snez. Again, my sister and I fought over who could play first. We both wanted to be Princess too. Fun times. Thank you to Harriet for taking the time to answer these questions and good luck with your debut novel.